Since the year 1905 the Giro di Lombardia has established itself as one of cycling's greatest one day races. 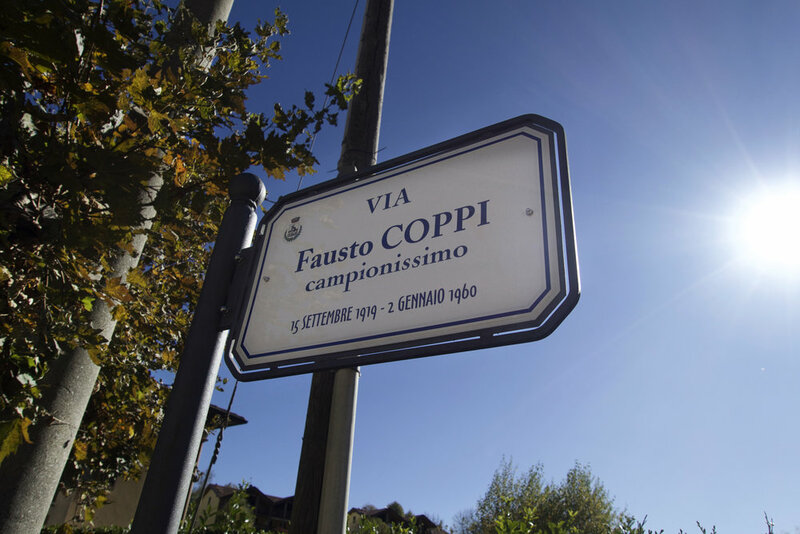 It is the only one of cycling's five Monuments hosted in Italy and the only one set in the fall after all of the season's Grand Tours have come and gone. Dubbed "The Classic of the Falling Leaves," it's the swan song to a lengthy road season set even later in the schedule than the World Championships and a final test of form for the climbers who dare tackle the punchy climbs surrounding Lake Como and the greater Lombardia region. Among its final leg-breaking stretches of road is the Madonna del Ghisallo, 7+ miles of suffering which takes the peloton (or what's left of it) from Bellagio through a narrow winding artery of 10%+ grades to a tiny chapel at its summit with the most stunning views of the hills surrounding the lake. From here the race continues, but for those of us visiting as fans of cycling (and by car), atop this precipice are two structures worth stopping for; the Museo del Ghisallo and the Chapel of the Madonna del Ghisallo, the latter claiming to be the spiritual home of cycling. Who are we to argue? I became aware of the museum's existence when we started exploring touristy options in the Lake Como region. Of course I wanted to visit, but I thought it might be difficult to convince Addie that a trip to a bicycle museum during our honeymoon was a good idea. Once she found out that there was a patron saint of bicycles, well, that was just whacky enough for her to get on board. The museum is one thing. 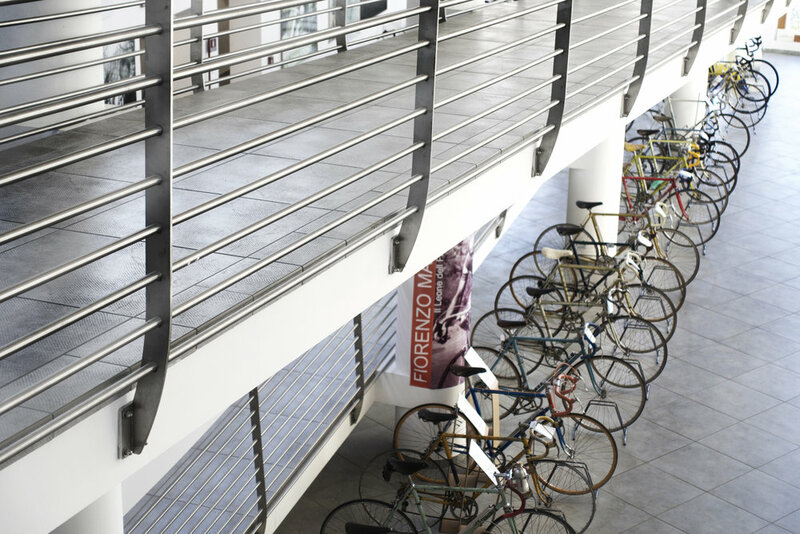 It's a beautiful modern building erected in just the last few years full of cycling memorabilia, most of which focusing on the tradition of Italian road racing. There are vintage bikes, jerseys, photographs and news clippings all arranged within a building largely exposed by massive walls of glass affording wonderful views of Lake Como below. It has a nifty little gift shop and a coffee bar which provides the non-cyclophiles in your group areas to browse while the more devout drool over 50 year-old Campagnolo groupos. Then, there's the chapel. 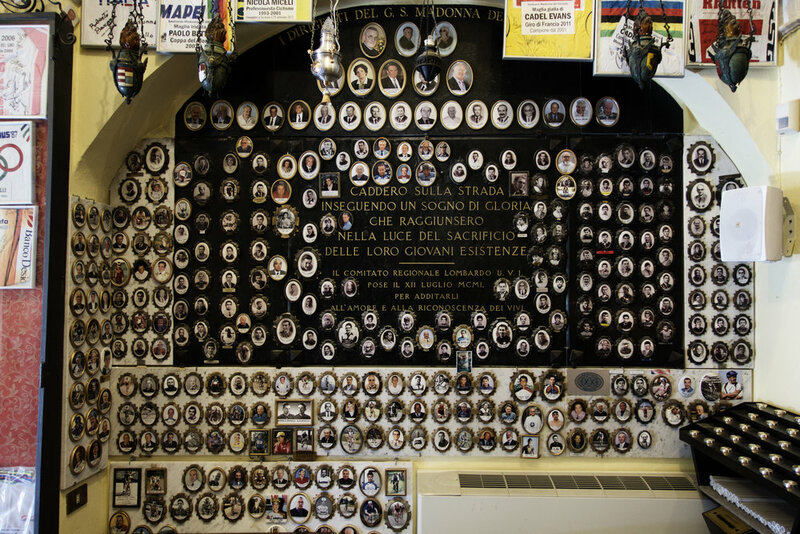 A small Catholic shrine, largely to regional cycling, it's a memorial for both legends and local club members alike who have been lost. It's a modest building, not really summoning the grandeur consistent with many other Italian churches. That said, it is SO worth a visit if only for the chance to see how the Catholic Church co-opted cycling, or is it the other way around? Who even knows? We'll leave it to you to make sense of something that left us both charmed and baffled.